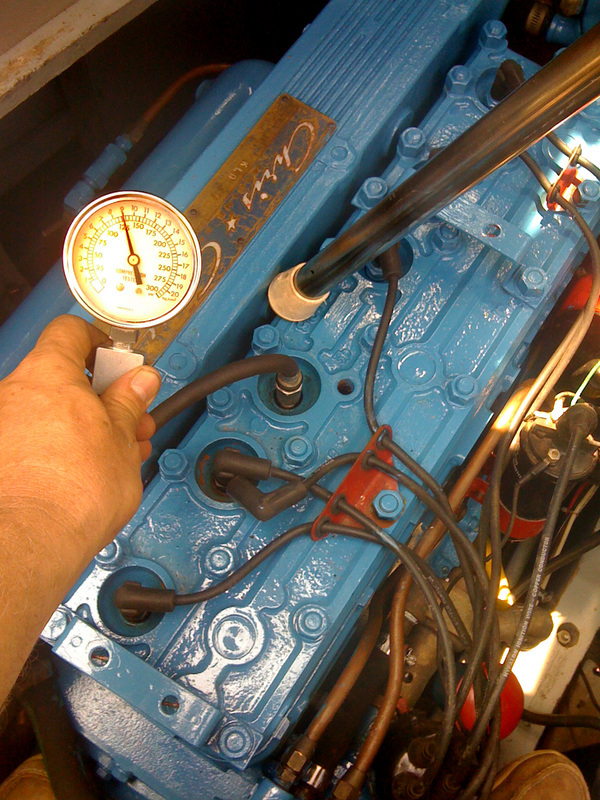 135, 135, 135, 90, 135, 135… Betsy, Don't Make Me Pull The Plug! 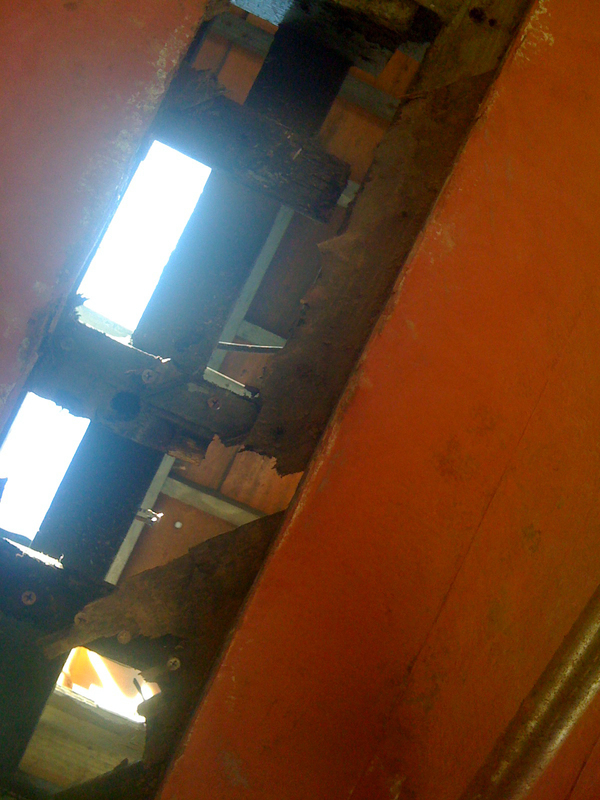 And oh boy, that is a can of worms I choose not to deal with….I have been down this trial many many times, it’s the worst part of the relationship of a classic boat owner. 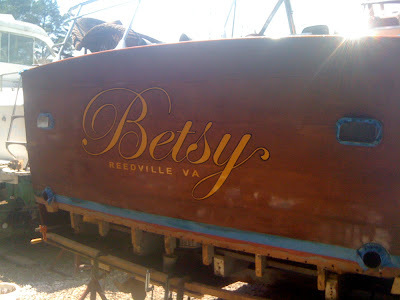 The trick is to know that you are saving a boat that has seen over 52 years of love from 30 minutes of anger with a buzz saw… maybe I just pull out the saw and just leave it next to Betsy..maybe she will give a little here and stop showing me her back side…. Hate Commuting To Work? Try This. It is a lesson in life itself. There is no way to get through it without feeling some pain. You just have to tell yourself that it will end and be glad you do not have more and bigger boats to contend with. It makes it all the more important to feel the joy as you did with Sylvia and relish those experiences to the fullest extent possible. I basically use my boat for less than two weeks out of the year. Something always goes awry and I lose a day or two of that allotment. As pissed as I can get I know that the joy I feel when things are running will make the difficulties fade into the past more quickly. You can't help but believe that there is some kind of cosmic balance. Just push ahead the joy awaits you. Remember to grab it and hold it. Maybe this will make you feel better. Saturday morning I get a call from the old lady I rent a dock from, She says my searchlight is on and my boat is tilted. Its pouring out and has been all night. I drive over there, my just finished wood boat is laying in 6' of water. Yep the search light was on, the bilge bump burned out, the weight of all that rain pushed the transom down far enough that the water entered the blower vent and the blower fan just created a massive flow into the boat and it sunk. I know know what those birds in the Gulf FEEL LIKE WITH ALL THAT OIL ON THEM! Anyways I managed to dive under it and get a strap and come along on it using my plastic boat, a 2×6 and the dock to crank it out of the water. Got it even with the rails and pumped it out with a 350 gal per minute bump. Towed it back 4 miles to a ramp and loaded it on the trailer. Just as I was strapping it down a old lady pulls up and says she has always loved my boat and would I like to sell it. Didnt know how to react to that but said I might think about it. So is someone trying to tell me something? So now i get to take everything apart and get it runninbg again. I think misery is perhaps the consequence of unrealistic expectation? The tale of the sinking of the other boat is truly sad, but a few more bad planks than you thought or an engine at less than 100% on the Connie is probably within reasonable expectation. You delivered yourself into nirvana on buyers' hope for Betsy, but now the not so terrible reality is she needs a bit more work – not the end of the world. By the way – screw the engine – run it as long and as far as you can. You're not going to get stranded and it is not rare and it doesn't need to be perfect. You are not racing it, so enjoy the boat. Button up the planks and get it in the water and all this will dissipate pretty damn quick as you chug down the river some sunny day. 50 weeks of sanding, varnishing, engine repair, emptying the wallet of any and all funds, storage, prep after being in storage, trailering, praying it will float again this season…. etc, and it all seems worth it while you're skimming across the water for an hour or two. Smiling ear to ear! Welcome to the Cruiser Guys Club Matt, I feel your pain.